California Dreamin' was the theme of Homecoming 2017. Festivities began early in the week when Spirit Week kicked off when middle school & high school students came to school Monday dressed as beach bums and hippies. Tuesday, students (and teachers) enjoyed dressing up as mathletes & athletes. Wednesday, lower school students joined in on the fun and dressed up for the remaining days of Spirit Week; Wednesday - Wacky Tacky Wednesday, Thursday - California Character, and Friday - Blue & Gold Day! Friday afternoon, the whole student body gathered for the annual homecoming pep rally. Fall athletic teams were introduced. Faculty members participated in a wacky relay race. The 2017 Homecoming Court was introduced. And class banners were presented to the student body and judges. This year, the Junior class banner portraying Los Angeles took the win!!! 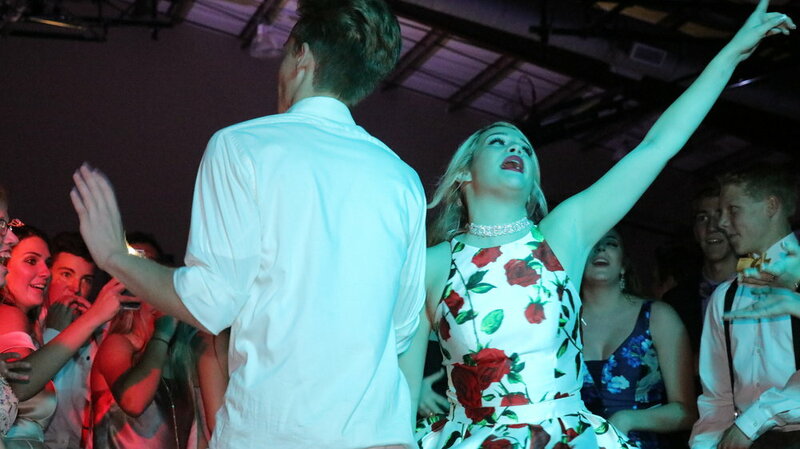 The Homecoming Dance was held on Saturday evening in the Lodge Gym. Decorated with inspiration from the state of California, students spent the evening dancing.